Vote for my design on Threadless! Hey buuuuddies! 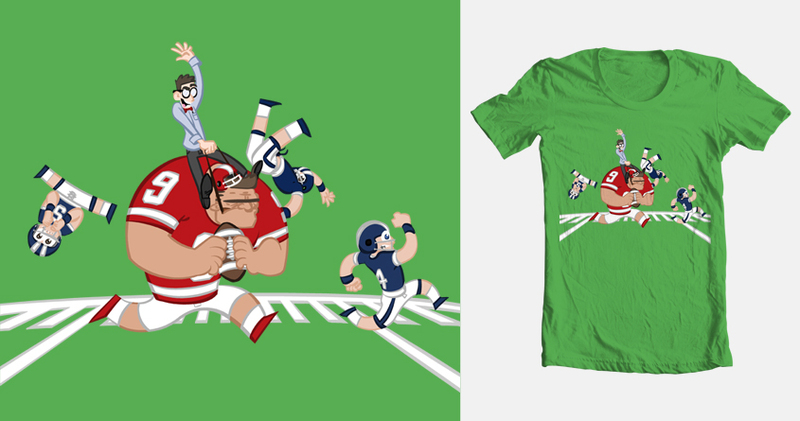 No new comic yet as I’m a bit under the weather, but guess who has a t-shirt design on Threadless? Oh yeah I guess I already told you up in the title there. :0 ANYWAY, it would rock socks if you all could go give it a 5 really quick, and I’d be super appreciative! Also: free shoulder rubs if you do go give it a 5!